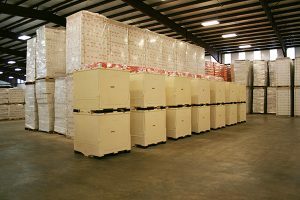 Industrial Products | Peppers Unlimited of Louisiana, Inc. The second biggest producer in the market, and the fastest growing—we’re the business you know by flavor not name. We guarantee you know our customers well. National retail brands, top restaurant chains, hospitals, schools, military and prisons worldwide rely on our customized sauces to spice up their food and heat up their sales. Providing the finest quality sauces at substantial savings, our dedicated team of food scientists and technicians will meet or beat any national brand’s quality, consistency and taste profile. Using only top grade ingredients, we blend hundreds of distinct recipes for dozens of different products, including hot sauces, marinades and glazes. 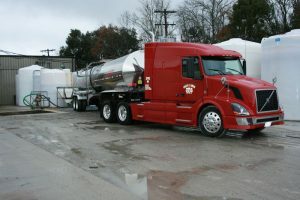 Bulk sales ship in tank trucks, 330 gallon totes, 315 gallon totes, 55 gallon barrels and 5 gallon pails. 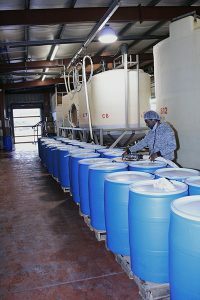 Formula customization has a minimum pallet requirement.